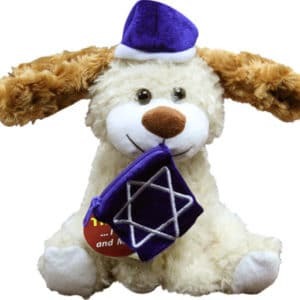 Gabriel bobs his head, flaps his ears and sings “The Dreidel Song”. 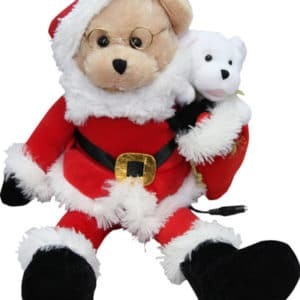 Santa bear and little bear in the toy bag sing verses back and forth, and together. 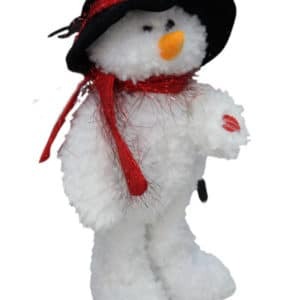 This charming snowman sings “Frosty the Snowman” while he sways from side to side.